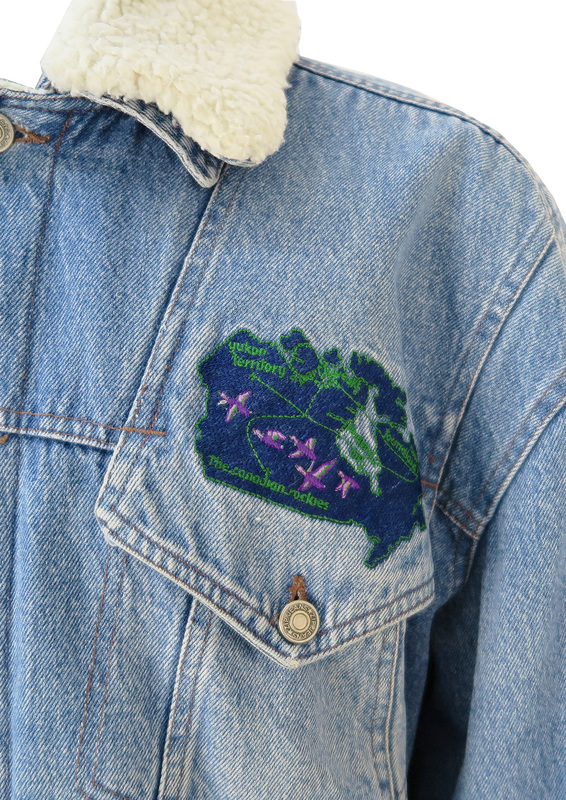 Blue denim jacket that is fleece lined with a ‘Canadian Rockies’ motif. 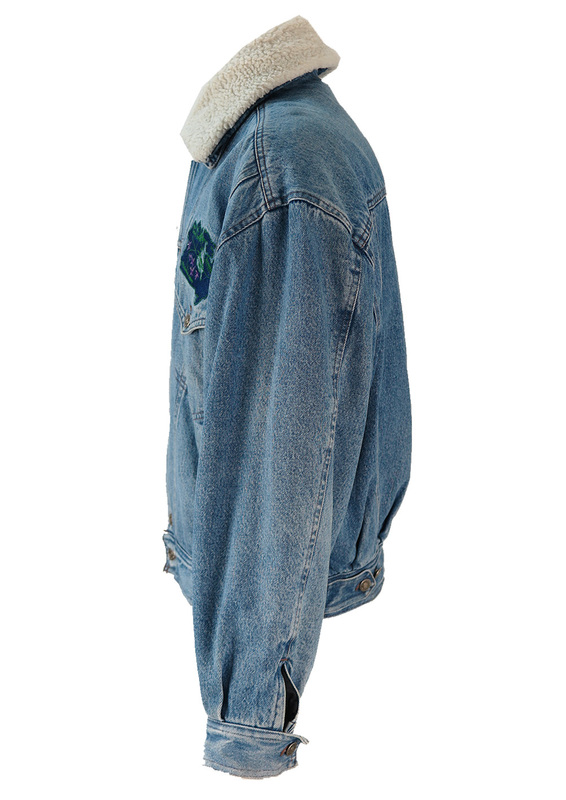 Other design features include a detachable collar and pocket flaps that extend down from the shoulder seams. 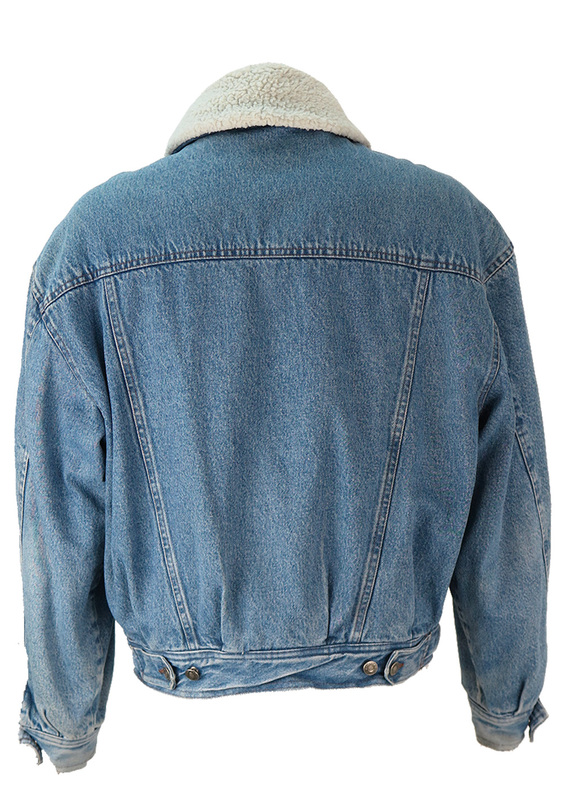 The jacket has an oversized shape to it which gently tapers in to the waistband. 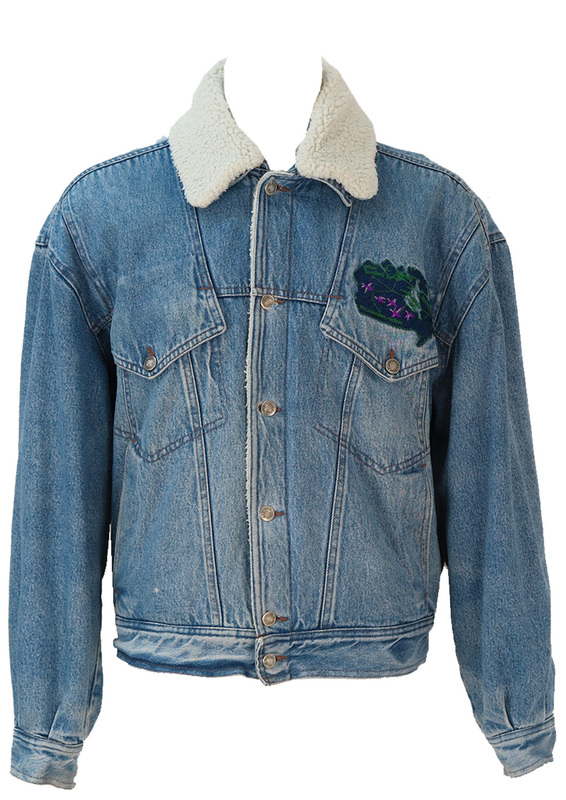 For this reason the chest measurement will seem too large for a size L/XL, however we have sized the jacket as an L/XL with the intended shape in mind. There is very minor wear to the cuff edges and this has been reflected in the price.